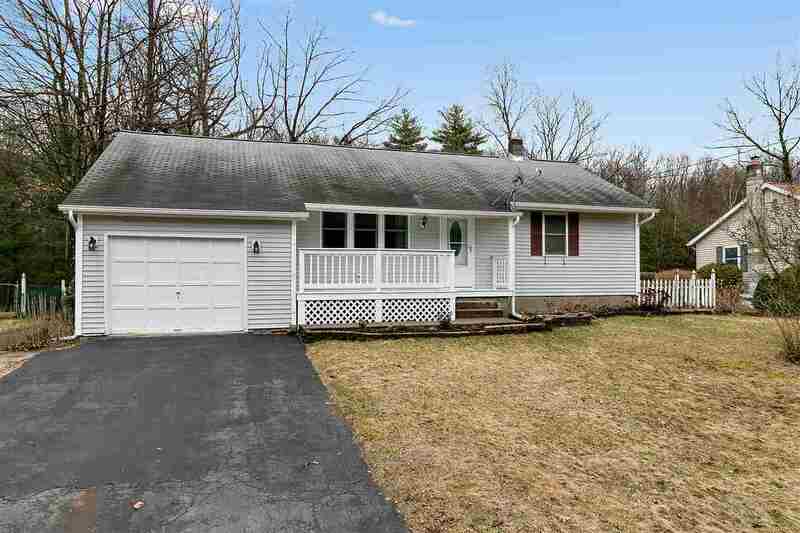 Mint condition split-ranch home in an affordable and popular neighborhood in the Saratoga Springs school district. First-floor master and a 2nd bedroom upstairs; formal dining room and large eat-in kitchen. Bathroom beautifully remodeled. You'll love the hardwoods and the bonus space, since this home's floor plan has been expanded with an extra den studded with windows, two skylights, paddle fans and sliding doors to inviting backyard patio. Large, level lot. Natural gas powers the forced hot air heating system. Cute covered porch area out front for hanging out with morning coffee. Close to Saratoga State Park, Hannaford grocery story and nearby shopping. Ideal first home, down size or even that second home to enjoy Saratoga & surrounding area.